X-ray imagery is obviously taken for granted in medicine here in the 21st century. But at the turn of the 20th century, x-rays opened up an entirely new world. And I still can’t help but wince at the photo above. I was flipping through some of my old magazines from the 1900s this weekend, (as one does), when I came across this cringe-inducing photo of a man sitting in a dentist’s office from 1909. The story was about a new x-ray machine that was being tried out in dentistry. And the whole thing makes me thankful to live in the year 2016. Fractures of the jaw, and all kinds of inflammatory processes can be investigated in every detail, and borings, fillings, bridges, and regulations in the position of teeth are readily checked by means of x-ray pictures. The most valuable results may, finally, be expected from examining infantile teeth, ascertaining the position of permanent teeth in relation to the milk teeth, and anomalies during the changing of teeth. The photo that ran in the magazine showed a dentist in Germany trying out his new “portable cabinet” of high-tech x-ray machinery. They were the promise of the future, allowing dentists to get a peek inside a patient’s mouth without opening up their gums or letting the teeth just rot away. Or, better still, just pulling the teeth on a hunch. The future provided by the x-ray couldn’t come soon enough. But it would present its own problems in the early days. Wilhelm Conrad Roentgen discovered x-rays in 1896, but the next decade would see plenty of trial and error when it came to using them for diagnostic medical purposes. A lot of people would suffer from exposure to x-rays in a medical setting as doctors and dentists learned how they might be useful in their practice. 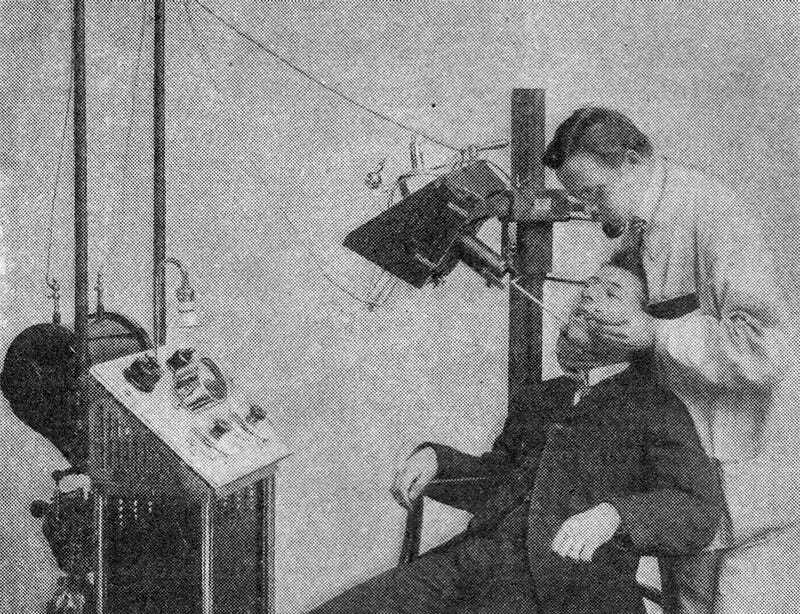 Practical x-ray machines for dentistry wouldn’t hit the market in the United States until the 1920s. When they did it was thanks to the tireless work of an American doctor named Dr. C. Edmond Kell. But Dr. Kell would later commit suicide after losing his arm and developing cancer after repeated exposure to x-rays. There’s controversy today about whether we need dental x-rays every single year. Some people argue that getting x-rays every year, as most Americans with dental insurance do, exposes us to risk of excessive radiation. The American Dental Association doesn’t even recommend that they be taken annually, but your dentist probably does it anyway. You’re not going to lose an arm, like Dr. Kell did. But much like the recent controversy over flossing, everyone is reexamining what’s considered necessary when it comes to public health. We’re working on making the world a better and safer place when it comes to dentistry. But I’m still happy that I live in the 21st century.